Add extreme high-power wireless coverage to any network. Key Features 1. Exceptional Coverage Higher Power (560mW) + Higher Sensitivity (-93dBm). Together equals better coverage. 2. Flexible Deployment Supports PoE+ for deployment in areas where power is not available. 3. 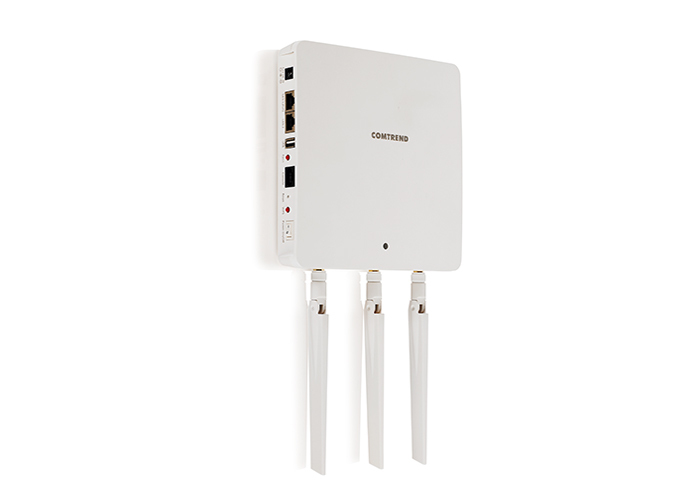 Comprehensive Network Features Supports multiple SSIDs, wireless isolation feature, and Internal Radius Server. 4. Super-Fast Wired Connectivity Gigabit ports-10x faster than standard ports. 1. What is the Default Username and Password for the WAP-PC1750W? 2. What is the default LAN IP address for the WAP-PC1750W? a. Default is “DHCP Client”.If no DHCP Service is found, the WAP-PC1750W will default to IP address 192.168.2.2.
b. You can adjust your LAN settings by Logging in to the WAP-PC1750W and changing the settings under the Network Settings Tab. Default is “DHCP Client”.If no DHCP Service is found, the WAP-PC1750W will default to IP address 192.168.2.2. 3. The access point is warm, should I be worried? a. No. It is not uncommon for the WAP-PC1750W to warm up during normal operation. 4. I can’t log into the browser based configuration interface? a. Web Access to the WAP-PC1750W is enabled by default. Check to ensure your local computer or laptop is on the same subnet as the WAP-PC1750W. If you connect directly to the WAP-PC1750W with an Ethernet Cable, you can set your local laptop or computer to the IP Address 192.168.2.100 with a subnet mask of 255.255.255.0 and access the WAP-PC1750W on IP Address 192.168.2.2. This assumes that the WAP-PC1750W is using the factory default settings for LAN settings. 5. How do I reset the unit to factory default? a. You can log in to the WAP-PC1750W User Interface and reset the device by going to the Advanced Tab and select “Factory Default” from the side bar on the left. A “Factory Default” button will be presented. Clicking on “Factory Default” will initiate the Factory Reset operation. b. You can press and hold the “Reset” button on the WAP-PC1750W housing. The “Reset” button is located between the Console Port and WPS Button. You may need a pencil or similar sharp object to push the reset button. Press and hold the rest button for at least 10 seconds. Release the button when the LED is flashing Amber. 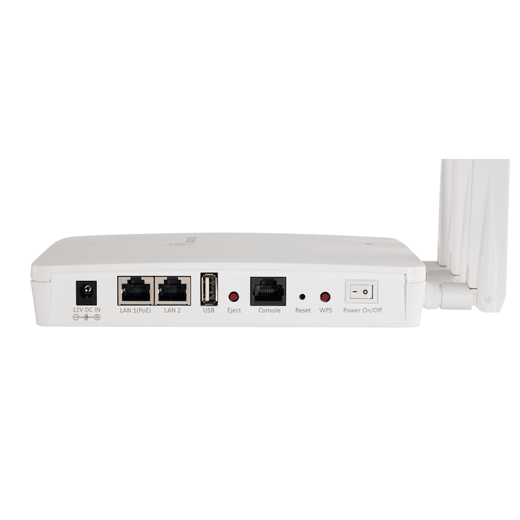 c. WPS can be activated on compatible devices by pushing a WPS button on the WAP-PC1750W for 10 seconds, then press and hold the WPS button on your wireless device until your wireless device enters WPS Discovery mode. (Refer to your wireless device manufacturer’s instructions for details on how to initiate WPS on your device. )Â Each device will discover and authenticate during the 90 second discovery period. 6. How much power does the unit provide OUT the 2nd LAN PoE Port as a PSE? 7. How much power does the unit draw on PoE? a. 15w is the max draw of the WAP-PC1750W via PoE. 8. What gain are the detachable antennas? a. The included detachable antennas are 2 dBi antennas. 9. What is the antenna connector type? a. RP SMA antenna connectors are compatible with the WAP-PC1750W. a. Firmware 1.0.13 is the current firmware version. 11. Can I use a Power Line Adapter to locate the WAP-PC1750W somewhere else on my property? a. Yes, it is recommended to use the PL-9172 G.hn Adapter to maintain network performance.